COMPACT is one of the most flexible ranges on the market. With its clean, fresh rolling curves, the design will lend it self to both modern and traditional designed bathrooms. 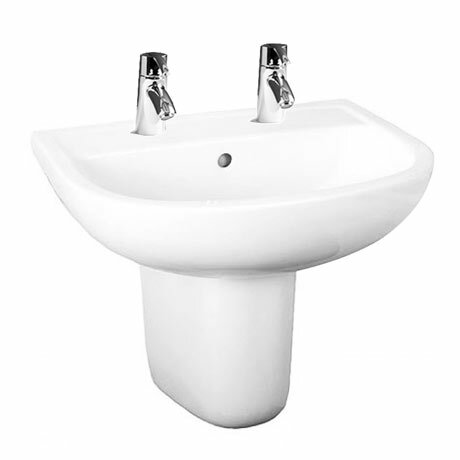 This 55cm basin is available in 2 tap holes and comes with a half pedestal.